32 yuan RISC microcontroller, ARM® Cortex ™ -M3 architecture, the operating frequency of 50MHZ. Built-in 10 / 100M Ethernet network PORT. 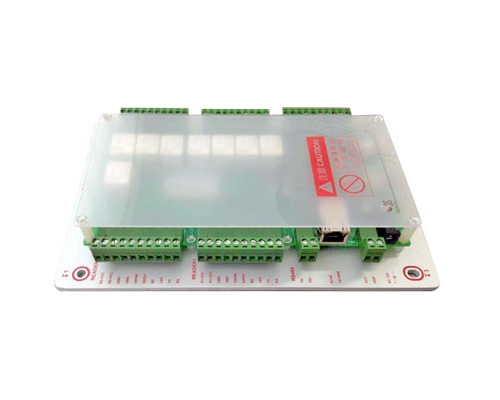 You can read all kinds of external interfaces of the head, such as WIEGAND, RS232 and so on. With a Micro SD Push Push Type card slot that accepts a variety of capacity of the SD card. SD memory card to FAT32 file format, PC compatible computer can be accessed directly. It can store 50,000 pen coded information and credit card records of 50,000 pens. Straight with 8DI / 8DO input and output points, and the corresponding LED display its status. Two external reader, do one into a control. 200 holiday group control function.